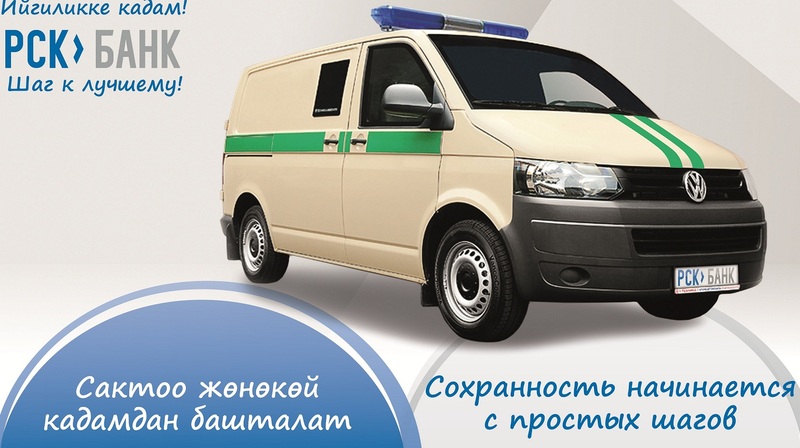 OJSC “RSK Bank” provides services of transportation of money and treasures. Some of individuals and companies in Kyrgyzstan, the activities of which are directly related to the regular turnover of sufficiently large amounts of cash, have a need for services of transportation of money and treasures. The “RSK Bank” offers its services 24 hours a day, 7 days a week, including weekends and holidays. The Bank's specialists carefully analyse the individual needs of enterprises and develop the schemes of customer service, considering their wishes as much as possible. The operations are performed by using the necessary technical protection means. The special-purpose armoured vehicles with high protection level, equipped with the radio communication, are used for the transportation. strict observance of confidence regarding the transported valuables.